Physical pharmaceutics is a pharmaceutical material science that is concerned with the physical and chemical principles of materials (drugs and other additives) that go into the formulation of dosage forms. This book consists of 11 Chapters: Chemical Kinetics, Drug Stability, Drug Dissolution, Drug Diffusion, Interfacial Phenomena, Micromeritics, Rheology, Complexation—Protein Binding, Colloidal Dispersions, Suspensions and Emulsions. 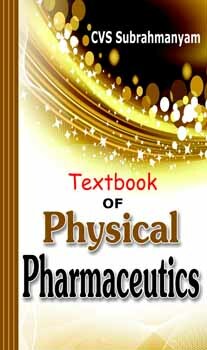 Essentially, this book concentrates on the two sections, namely Preformulation and Dispersion Dosage Forms. In this edition, objectives are included at the beginning of the chapter and summary is appended at the end of the chapter. Each chapter is expanded to include newer topics. A few aspects are: factors influencing the chemical reactions, ICH, WHO guidelines to stability testing, techniques of powder flow evaluation are added in this edition. Efforts were made to include numerical examples. 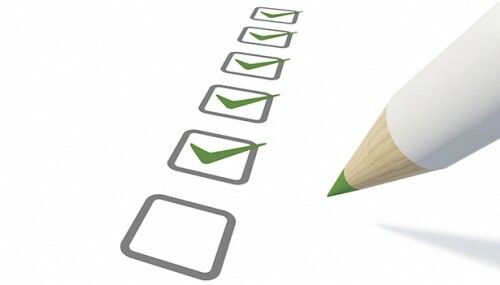 Special emphasis was maintained on the lines of expectations. 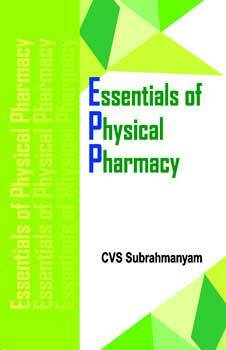 This book will also serve as a ready reference for the industrial pharmacist also.